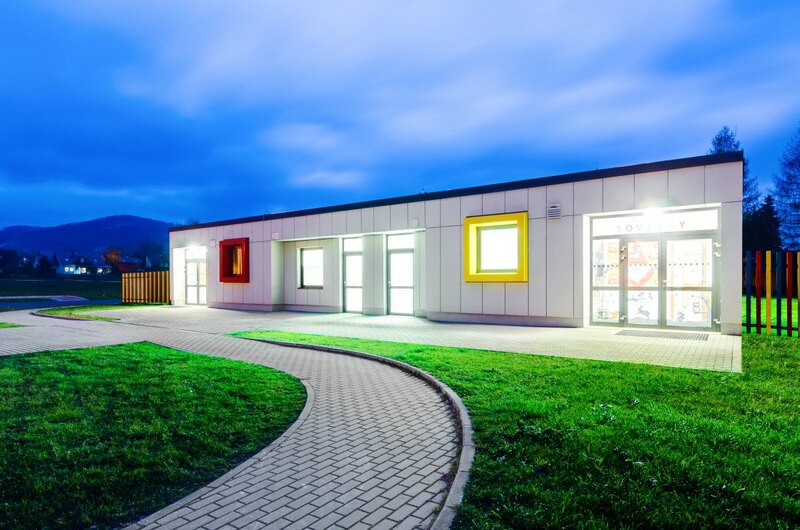 Our modular buildings became a part of an extensive reconstruction of a railway station in Brno. 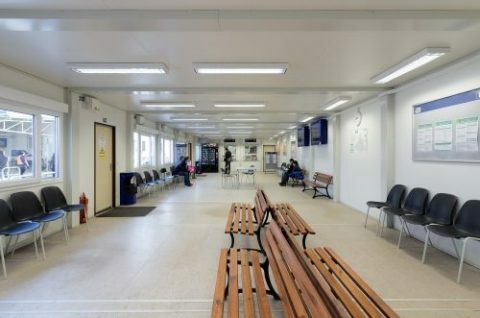 Our cabins were used for a temporary waiting room that can serve up to 110 passengers. It is equipped with high-quality chairs, benches and tables to improve the comfort. A cash desk is an integral part of it. In 2015, an investment plan for the replacement of four combustion boilers started in Prague. The project was executed in 2018. 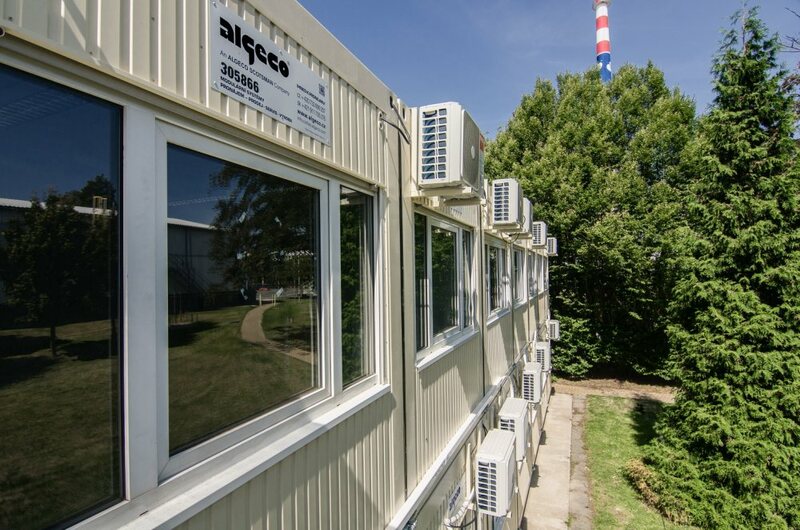 A whole two-story modular assembly served our automotive industry customer in Dobříš in 2018. 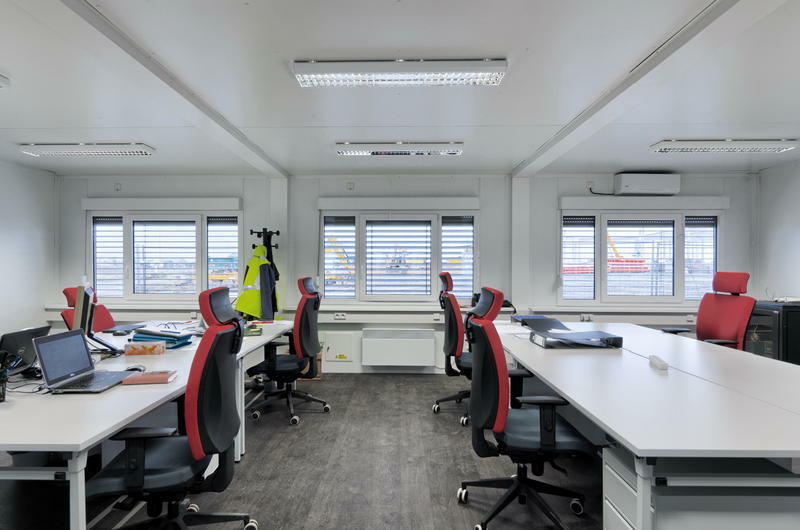 The modules were delivered to be used as offices, changing rooms and a dining room. 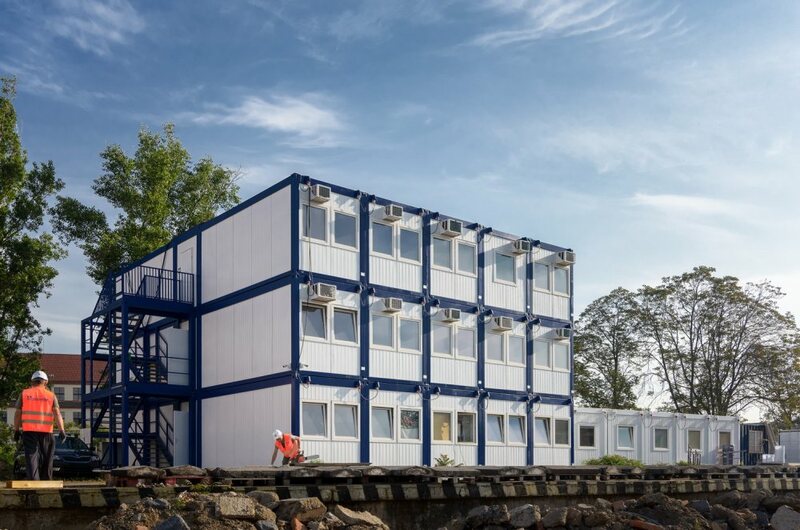 A three-floor container assembly completely made of renovated residential containers was delivered. Sanitary containers were newly made only for this long-term customer. 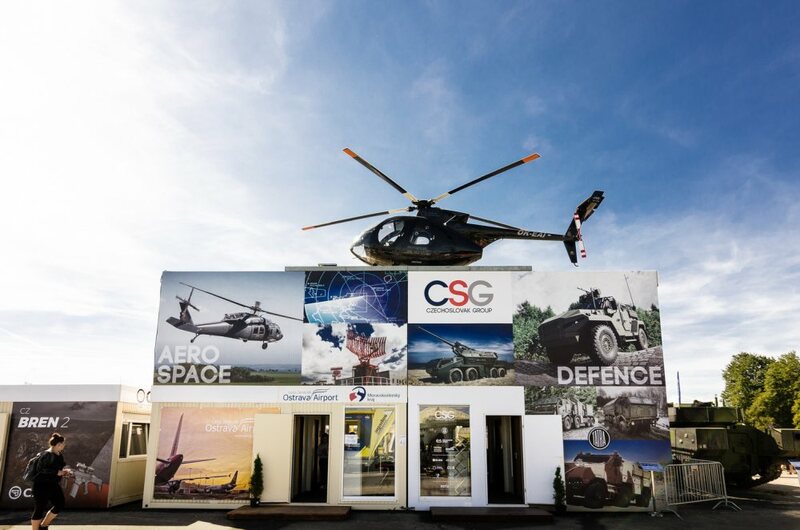 A year has passed and ALGECO became a partner of NATO DAYS again. 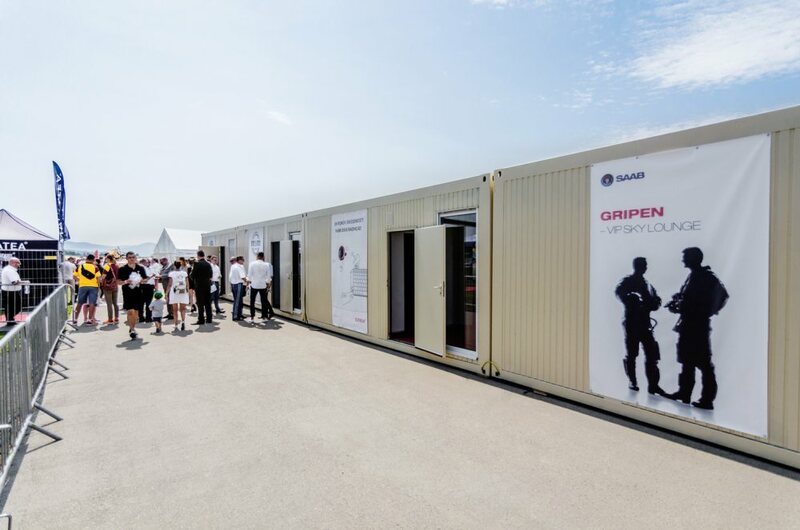 Our modular buildings served as the facilities of this spectacular event and we could also test the quality of our modules in an untraditional way. A helicopter landed on one of our assemblies! 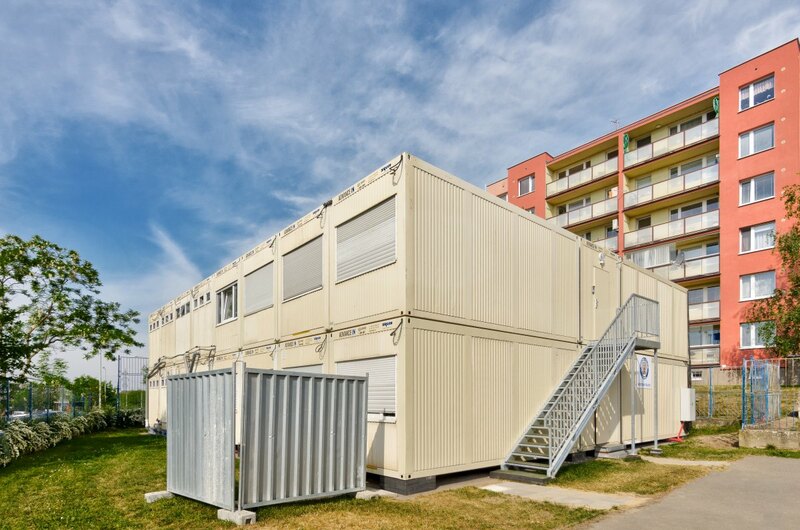 Containers are used for the administrative facilities for company employees. 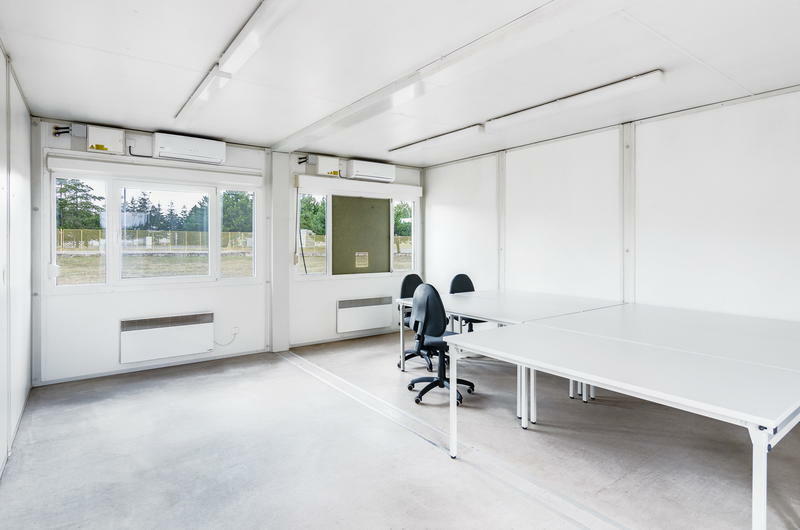 The building consists of individual offices, a meeting room, dining space and sanitary facilities. 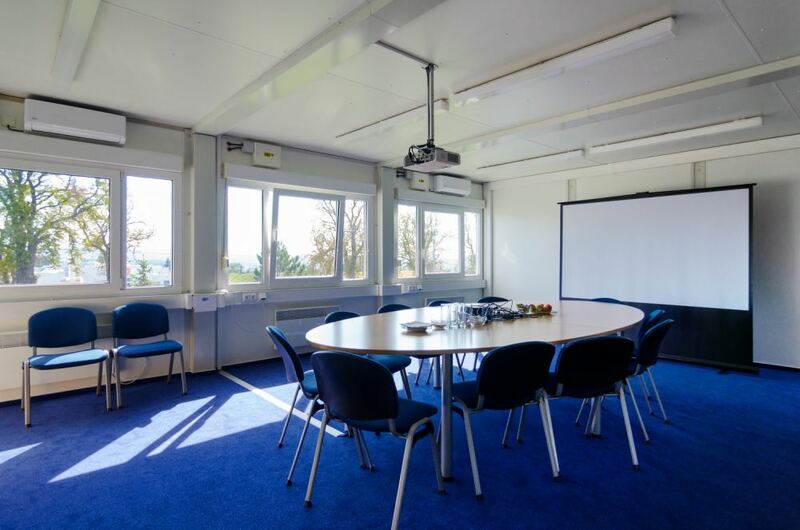 The offices are equipped with furniture, blinds, air-conditioning and fire detectors. The containers served television crews broadcasting the races to the whole world. They were equipped with air conditioning and a special adjustment on a window which served to connect the cables. Also, there were tables and chairs. 2 containers were for police officers and other 2 for serving staff. The company invests billions to the renovation of its production plant. The most extensive project is Eco Flex – recovery boiler where this assembly is used. 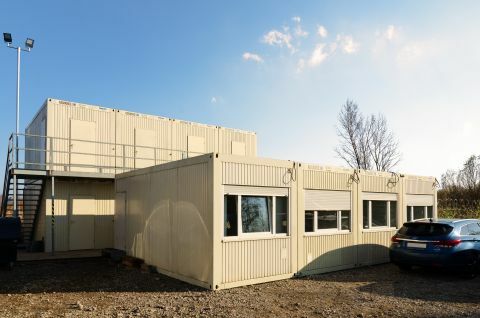 A specific feature of this installation is the fact that there is not enough space for the installation of containers on the premises and it is literally crammed in small space. The project for the reconstruction of Negrelli’s viaduct in Prague. The building serves as the administrative facilities for the construction site. The assembly is made from the system of inserted corridors. 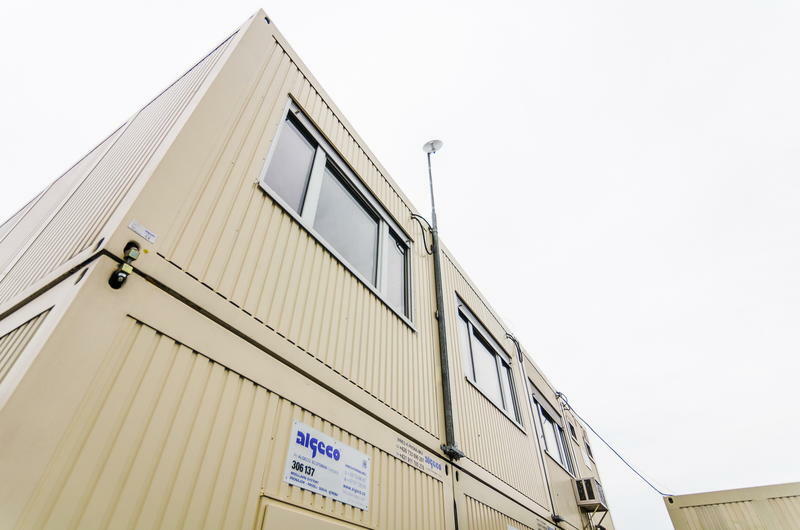 The assembly contains sanitary facilities and kitchenettes. Municipal district Prague 14 – Černý most is working on the reconstruction of the building for municipal police. 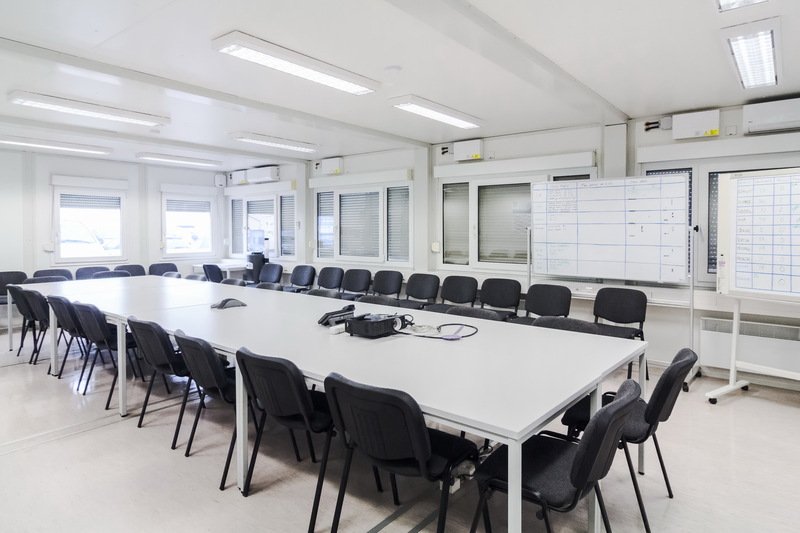 To maintain the operation, they needed to secure temporary office spaces and changing rooms. The preparation of a construction site for a construction. 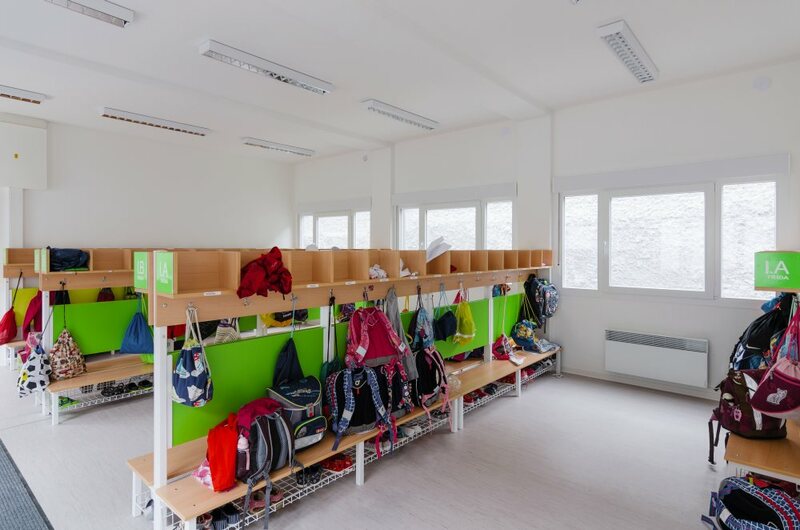 The assembly is equipped with sanitary modules, there are changing rooms on the first floor and the second floor is designed for the management of the construction (offices, a meeting room). The second floor of the assembly is accessed from the side stairs and the movement on the second floor is secured by console passageways. In 2017, the company decided to launch a planned project which is supposed to completely modernize its whole operation. The project should be completed in two stages and it is expected to be finished in 2027. 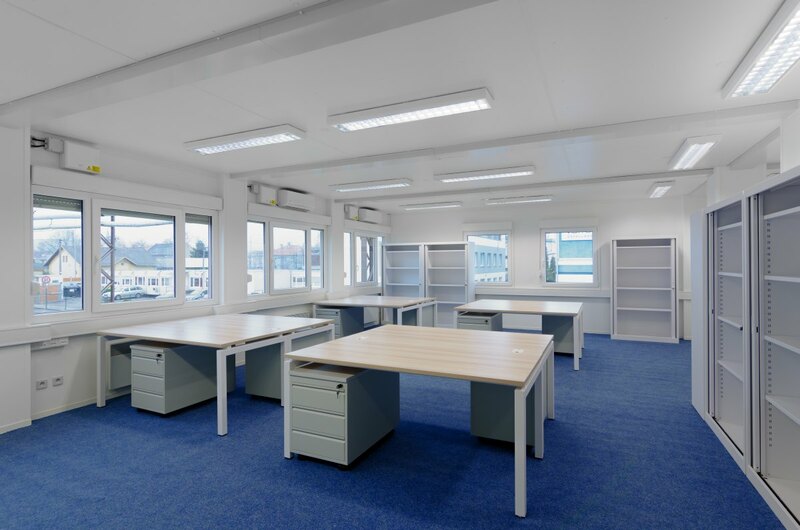 The customer needed facilities for employees on the construction site and also for the employees and customers of the store during the reconstruction. We also delivered the equipment for the offices, air conditioning, septic tanks. 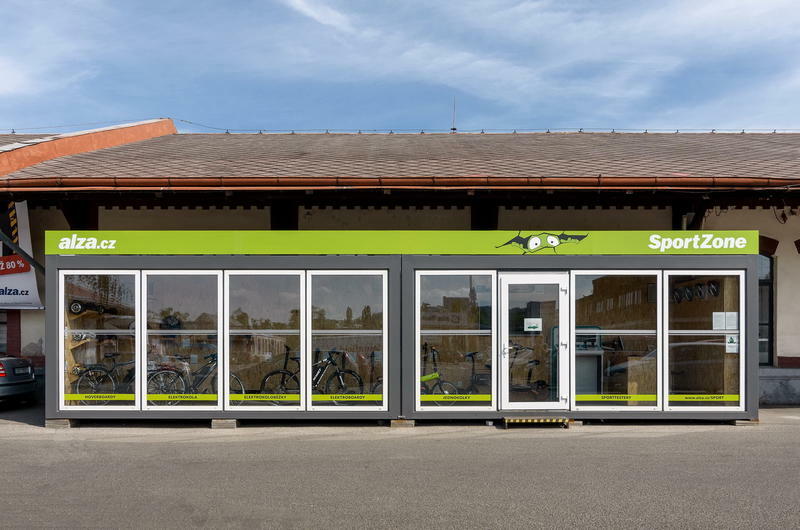 From our modules, we have created a showroom for demonstrating electric scooters and other high-tech products at one of the largest electronics retailers in the Czech Republic. In addition to the customer's complete equipment, the modules also include glazed doors that give the entire assembly a modern design. 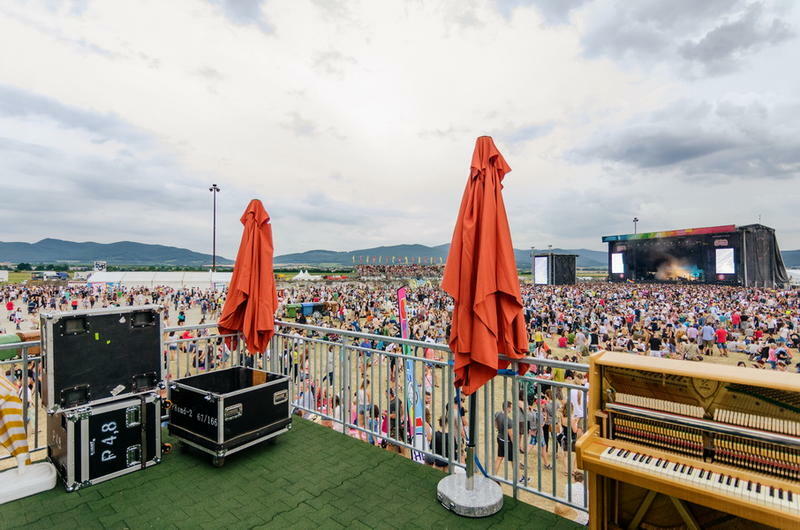 Our cooperation with one of the largest Slovak festivals continued this year. This festival has ranked at the top of the list of best European and world festivals for many years. 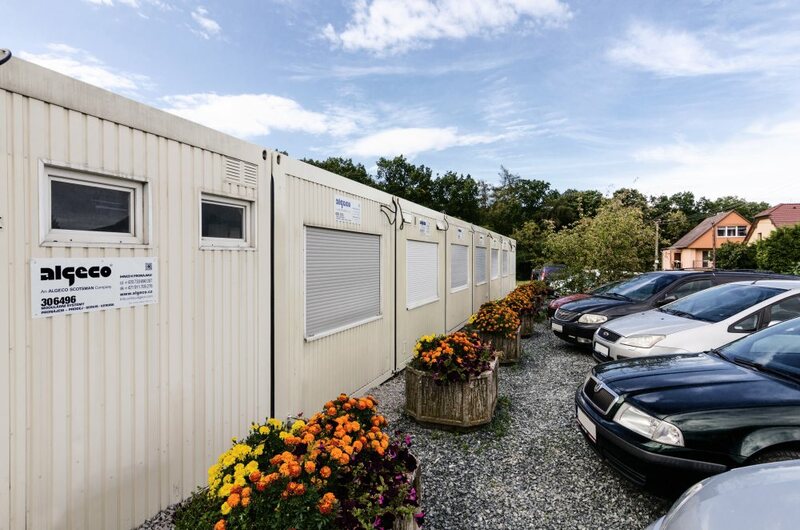 The number of rented containers and equipment increased this year again, including facilities for the organizers, musicians and subcontractors. This year we continued our cooperation from past years and provided facilities for the Summer Film School again. Once again, year 2016 offered visitors lots of movies and other entertainment throughout Uherské Hradiště. 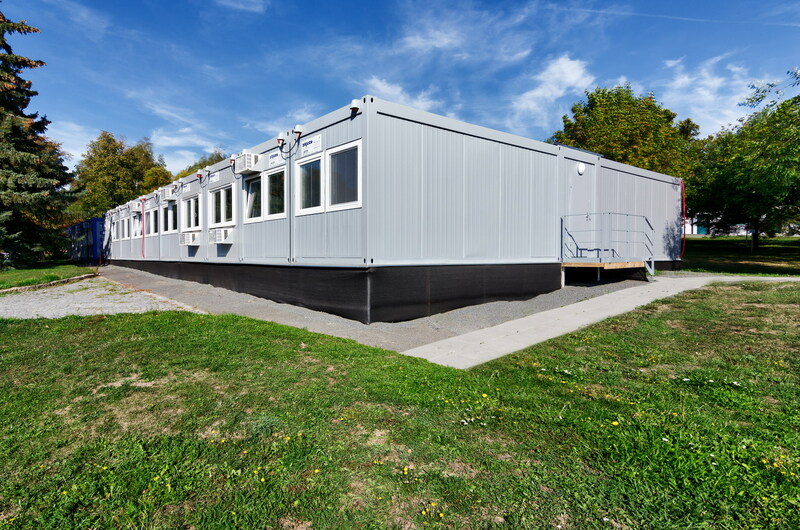 Modular buildings are used as offices and a meeting room for the management of the construction site. The customer needed reliable facilities for negotiations with subsuppliers, therefore he picked our new product ADVANCE PLUS. 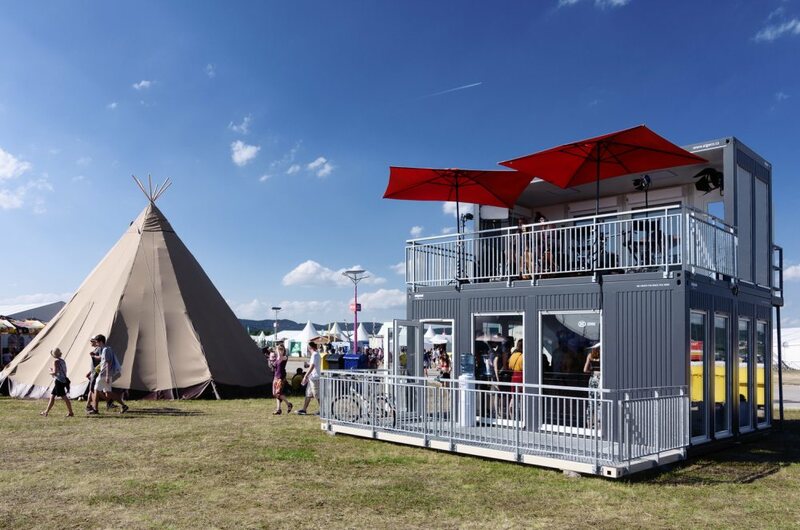 A year later, modular buildings ALGECO again returned to a top music festival in Slovakia which ranks among the best music festivals across Europe thanks to its quality and facilities. This year again, ALGECO delivered its top-notch products ALGECO SHOP which served for merchandising products selling or as facilities for recording interviews. 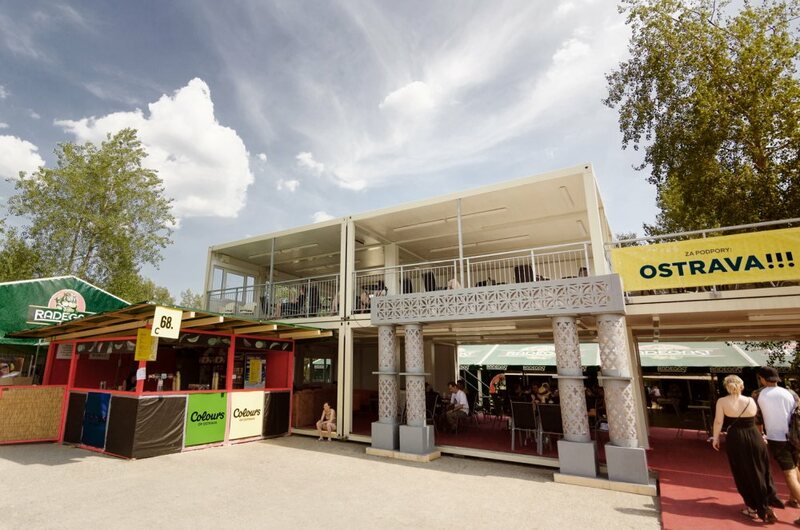 Containers were particularly used as an assembly for the organising staff, VIP assembly near the main stage and in the facilities of the festival for musicians and festival staff. A seventh year of the International Air Fest Days in Silač was held in August 2017. A record-breaking number of visitors came during the first day to the airport in Silač. There were 100,000 visitors. 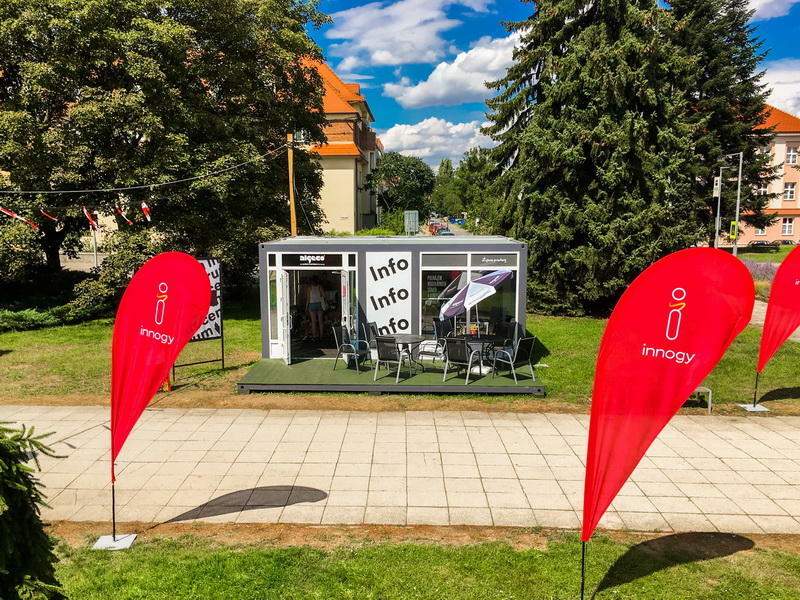 SIAF is the most visited event of the year in Slovakia. 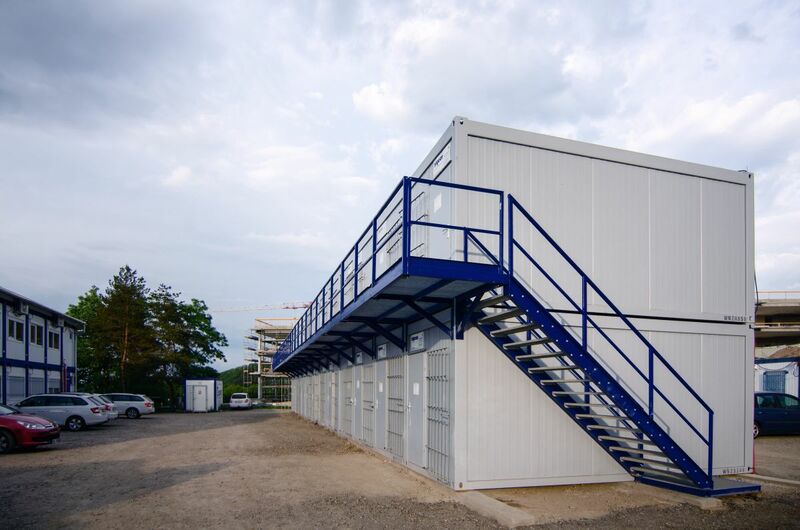 Containers were used as offices with sanitary facilities for the employees of a company. 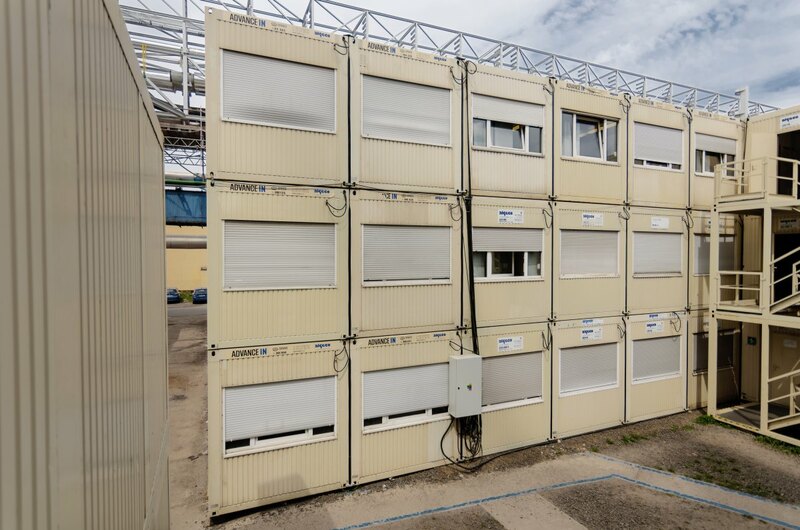 The customer’s problem was in finding some room for employees and due to the lack of space, they decided to use container facilities. The building serves as a training centre for the employees of a company and as one small office. 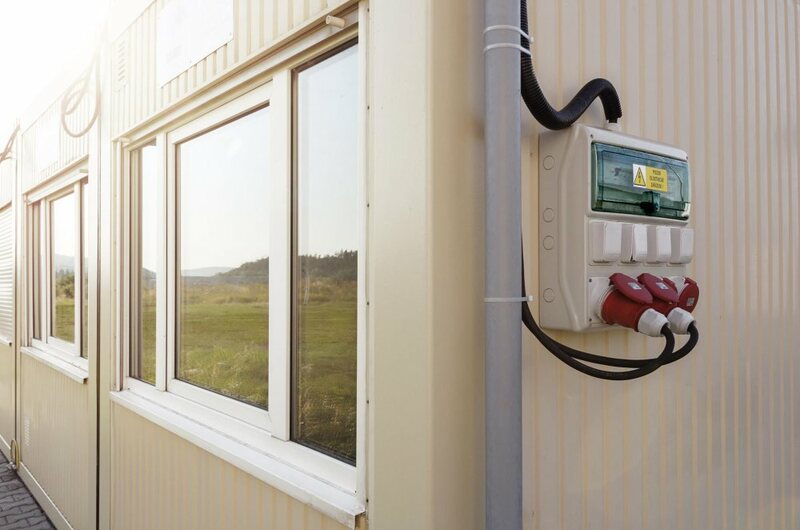 The customer decided to build the object form residential container modules mainly because of the time. 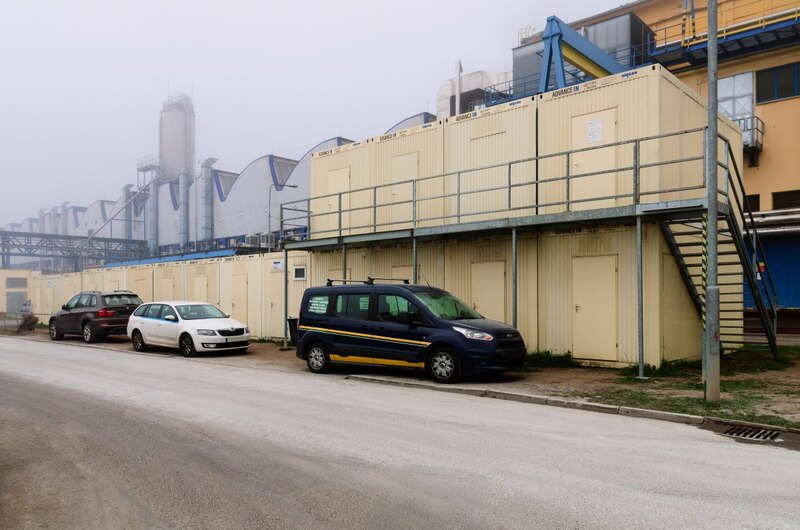 In March 2017, a large administrative building from ALGECO mobile containers was built in Nitra for one of the German companies during the construction of car factory Jaguar Land Rover. The building serves for administrative purposes of both in-house and external employees.